Horror writer DAVID HINE brings the original zombie phenomena to new terror wrought heights in Night of the Living Dead: Aftermath! The Las Vegas survivors thought they were saved, delivered unto a military compound where the human race could fight back against the rising tide of undead. But inside the concrete walls a more heinous evil lives and breathes under the auspice of "research." How can you survive a dead world when the living are just as much a threat as the virus ridden zombies? 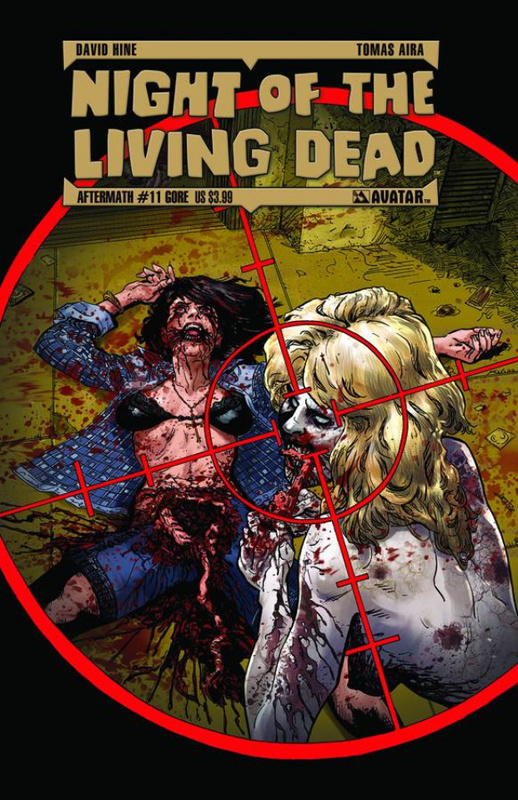 If you want more undead horror in your zombie comics, pick up Night of the Living Dead: Aftermath and let the chomping begin! Available with Regular cover painted by Matt Busch, Gore & Wraparound cover by German Erramousepe, and Terror Retailer Incentive cover also by Busch.